Not diamond thieves, just some very nicely dressed guys walking in slow motion. Quentin Tarantino’s breakthrough movie is the tale of Mr. White (Harvey Keitel), Mr. Orange (Tim Roth), Mr. Blue (Eddie Bunker), Mr. Brown (Tarantino), Mr. Pink (Steve Buscemi), and Mr. Blonde (Michael Madsen) and a diamond heist gone horribly wrong. The Reservoir Dogs surmised there is a police informant in their midst, but who could it be? 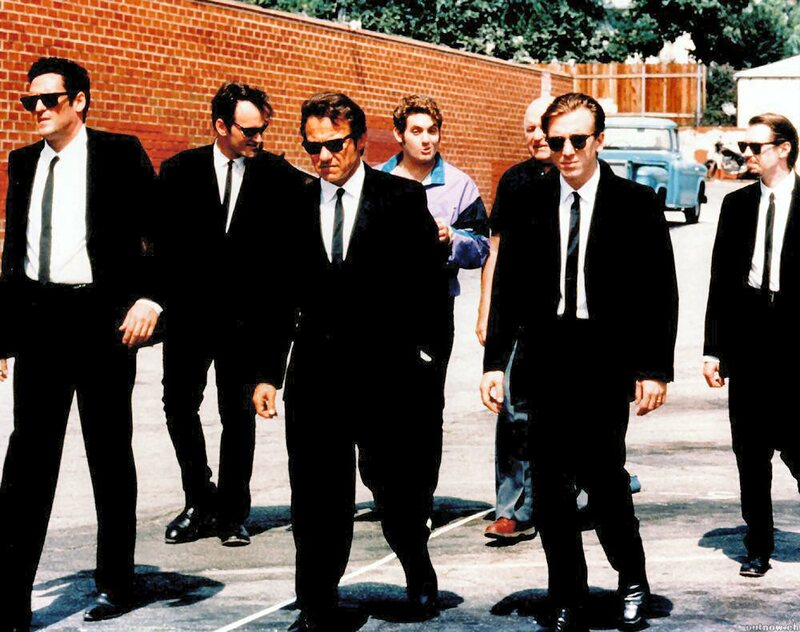 Reservoir Dogs is told non-linearly, something that became a Tarantino trademark in later movies. The actual heist is never shown in the movie, so the audience starts off knowing even less than the characters in the movie, who themselves don’t know what happened. Much of the movie takes place in the Dogs’ temporary hideout after the heist had gone awry while flashbacks show events prior and fill in the backgrounds of the major characters. More than anything else, what I need to say is Reservoir Dogs is the most well-acted movie I have seen in a while, especially on the parts of Roth, Madsen, and Keitel. I think it’s unfortunate that a good actor like Roth seems completely unable to differentiate between good and bad scripts since he was in this one (a really good script) and in Deceiver (a really bad script). On top of that, he was wasting his time with Lie to Me for the last few years. It also helped that Reservoir Dogs featured a great script. This was where Tarantino first demonstrated his natural talent for screenwriting, and it was incidentally just by chance that it wound up in the hands of Harvey Keitel, and it was thanks to him that this movie actually happened. The dialogue was sharp and all the characters were well-rounded. Basically, I’m in as much disbelief as many of you are that it has taken me this long to get around to seeing Reservoir Dogs. It feels a lot less grandiose than movies like Kill Bill because Tarantino had a much smaller budget to work with, but it’s still classic Tarantino, and that makes the movie a classic as a whole. Personaly, greatest Tarantinos movie ever made, rest of his movies are so trashy and cheap. To each his own. I can’t really judge too fairly as to what the greatest Tarantino film is as the only others I have seen are Kill Bill and Inglorious Basterds, both of which I enjoyed a lot.